Just wanted to let you know that the University of Scranton Small Business Development Center has a blog. Our center is one of 18 SBDCs in the State of PA and we help entrepreneurs in eight counties of NEPA. From their "About the SBDC:"
The University of Scranton Small Business Development Center or SBDC provides no cost small business consulting services that are tailored to fit the needs of small business clients of Bradford, Lackawanna, Monroe, Pike, Susquehanna, Tioga, Wayne & Wyoming Counties. The center offers confidential individualized assistance designed to identify and address the problems of small business owners as well as individuals interested in establishing a business. The program is jointly funded by the United States Small Business Administration, Pennsylvania Department of Community and Economic Development and The University of Scranton. This blog is now a valuable source of links and information about places to go and things to do in Northeastern Pennsylvania! The new title hasn't "caught" on our sidebar yet, but be sure to check out the blog for lots of ideas about family fun in NEPA this Summer! We received a new blog submission via email from Gillian Peterson. I would like to say that she seen the ComputerWise TV show with Harold and I and was inspired to send us an email to list her blog, but I don't know if that is true...I will find out though! 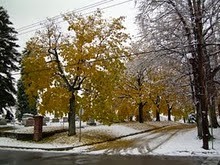 The NEPA Real Estate Photo Blog is the professional blog/profile for Gillian Peterson. She takes all the pictures, and posts all of the information and ideas to the blog. A one (wo)man show you may call it. From the About Page: Hello! My name is Gillian Peterson. I am a 28-year-old licensed Realtor (RS308732) in the resort area of the Pocono Mountains. This includes areas such as historic Stroudsburg and Mount Pocono, as well as Tobyhanna, East Stroudsburg, Tannersville, Bangor, Windgap, Marshalls Creek, etc. Basically all of Monroe, Pike, Wayne, Carbon, Northampton, and Lehigh counties. I will not only blog about events in the Poconos, but also in Allentown, Bethlehem, Easton, Nazereth, Northampton, and beyond! Thanks for the submission, Gillian! I am adding her blog to the sidebar as I type this entry out. For the rest of you, please feel free to send your blog to nepablogs@gmail.com if you would like them to appear on our website. It is also on various cable stations throughout Eastern & Central Pennsylvania. Consult your local listings. Times are subject to change. The show can be viewed on Blue Ridge Cable FREE On Demand up to 6 days after original broadcast. 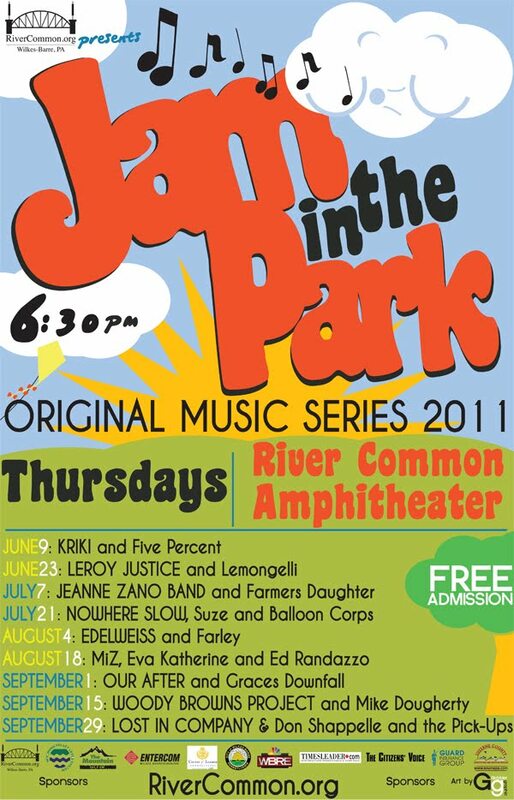 The Wilkes-Barre River Common is hosting a series of mini-concerts at the River Common Ampitheater. The "Jam in the Park" series happens twice a month on Thursday evenings at 6:30pm throughout the summer season. Admission is free and all are invited. Pass it along. It looks like it will be a diverse selection of music artists. I noticed that RiverCommon.org is not linked from our sidebar. I will take the opportunity to link it now. The River Common hosts a wide variety of entertainment and activities that are normally free to the public throughout the year. 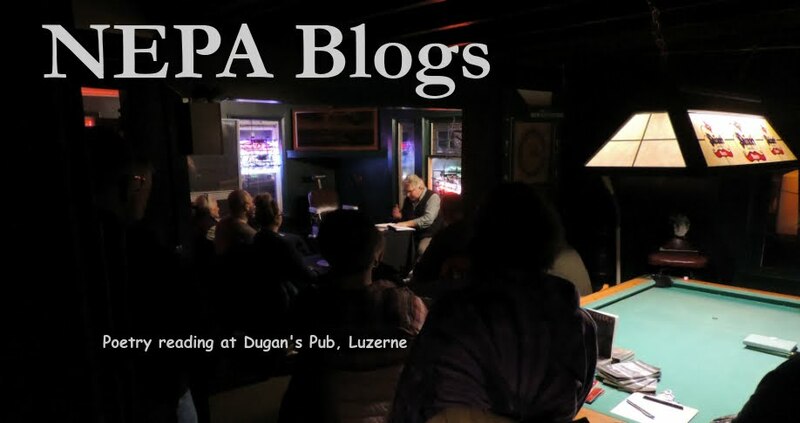 A blog consisting of posts by multiple writers from the Pocono Mountains Visitors Bureau. 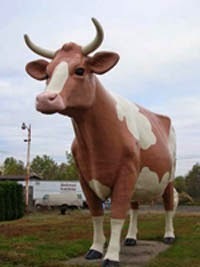 Welcome to the Pocono Mountains Blog! As team mates at the Pocono Mountains Visitors Bureau, we're constantly telling folks about our great outdoors, upcoming events, the low down on our accommodations and a bounty that includes some seriously good wine, micro-brews and a host of fresh fruit and veggies! This blog is an up close and personal narrative of our experiences living, vacationing, traveling and working in the Pocono Mountains. Started in January 2008, with posts credited to thirteen individual authors plus the Pocono Mountains Visitors Bureau itself, Pocono Blogs is truly a team effort. It is also an excellent source of information for anyone interested in visiting Northeastern Pennsylvania's lovely Poconos! Hey NEPA! Its been a while . . . I haven't been posting blogs recently because I have a new job and am also taking classes over the summer semester at LCCC. That doesn't mean that I haven't been busy "behind the scenes". Prior to BlogFest, I had secured an interview with NEPA Happenings magazine. I was working with journalist Kieran Kern to bring some attention to our bi-annual get-together. The interview should be hitting the magazine in July. You can pick-up a free copy at any of the following locations (from the website) - Over 30,000 magazines are distributed throughout a ten county area. You'll find Happenings at each of our advertiser locations. The magazine is also available at over 500 other locations in Northeast Pennsylvania. You'll find Happenings at such high traffic locations as banks, libraries, restaurants, hotels and shopping malls. Happenings is also available by subscription. Be sure to pick one up to check out the interview next month! Also, I wanted to announce that DB Echo and I will be on the ComputerWise TV show this coming week on Wednesday (06/22/11). In case you aren't aware, George Roberts' blog is linked on our sidebar. He is the host of ComputerWise. We will be discussing blogging topics, such as what a blog is, how NEPA Blogs got started, and why someone should create a blog vs. a Twitter or Facebook account. We hope that you tune in and watch us make train wrecks of ourselves on LIVE TV. Did I mention the show is LIVE? Yeah...it is. As always, my hope is with these interviews and TV appearances that we attract more attention to the blogging community within Northeast PA. We have such a vast and diverse audience that there really is something for everyone. Not to beat a dead horse, but should you want your Blog listed here, please send an email to nepablogs@gmail.com with your Blog URL and a brief description about what your blog is focused on and we will be happy to add you to the list! Have a great Father's Day NEPA! Blog on writing and Civil War reenacting, with links to historic fiction and how-to resources for Civil War reenactors. Putting together good stories, good writing, good art and people who appreciate all of that: Broken Lance Enterprises, a niche-boutique-micro (pick a word) publishing house built on a dream and fueled by hard work. I publish stories guys will read. I write stories about history for people who wish they'd been there when it happened. I write murder mysteries where things blow up, people get hurt, problems get solved and monsters are hunted down and destroyed. Usually. This BLOG is about being a United States Army wife. We have been through recruiting and now a deployment. This blog is for any spouse, friend or family member that wants to put input into my life on how to deal with the ups and downs of being involved in the military life. Additionally for you to get information on how to deal with what is going on in your life too as a military spouse, family member or friend. I am a wife to a wonderful man who serves in the US Army and I am a mother to two great children. I have one boy and one girl. I additionally have 17 years invested with working with children, running businesses and online selling. I have a BS in child development and psychology and I additionally have my Masters in business with a focus on human resources, marketing and management. What more is there to say? Visit this blog. Northeastern Pennsylvania is much more than just the Wilkes-Barre/Scranton corridor. Towanda, Tamaqua, Tunkhannock, Williamsport, East Stroudsburg, Pottsville, Bloomsburg - all are part of the uniqueness of Northeastern Pennsylvania, as are the many smaller places in-between. Hazleton is not a small town by any means, and it's not at all far from the elongated splotch of communities stretching from Carbondale in the Northeast to Nanticoke in the Southwest. 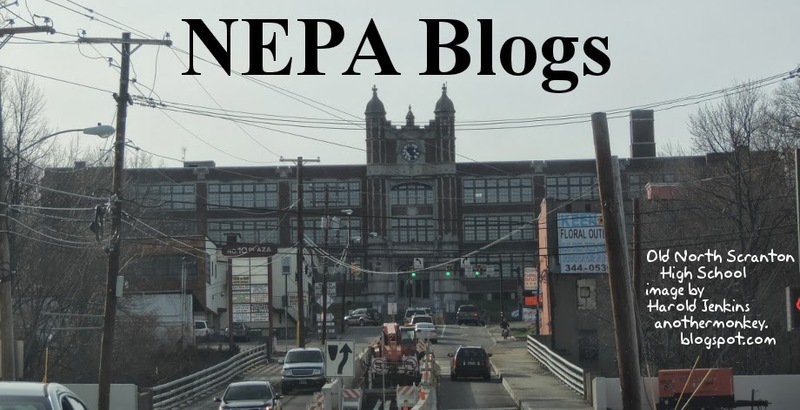 But I'm not sure if we have any bloggers from Hazleton represented on NEPA Blogs. If we don't, then this latest addition will be the first. Hello! I'm Cassandra! I'm 25 years old. From Pennsylvania. I'm a Mother, Wife, Sister, and Friend, I have Big opinions! I wanted to start to get them out there into the world! I talk about things on Facebook with people and then It usually ends up all messed up because there friends comment, people just act soo childish! So I would love to Post MY opinion on MY Blog and I would love if you Commented and even Debated with me! We'll be adding Cassandra to our blogroll. She's new to blogging, so be sure to stop by her blog and give her some encouragement! If you live anywhere in Northeastern Pennsylvania and would like us to list your blog, just drop us a line at nepablogs@gnail.com and we'll be happy to add you to our links! The annual Unity Festival (or Festival of Unity) is being held in Scranton's Nay Aug Park on Saturday, July 9, 2011. The organizers have a blog with information about the upcoming Festival, as well as posts about past Festivals stretching back to 2008. This multicultural celebration continues to demonstrate the rich diversity of people in the communities of Northeast Pennsylvania and more specifically Lackawanna County. Every year this festival grows in popularity because of our multi-ethnic representation and family oriented atmosphere that has attracted thousands of visitors and vendors from as far as New Jersey, New York, and Ohio. 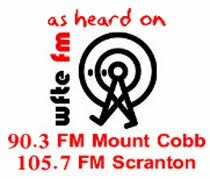 ...This intimate community event successfully began in 2005 in celebration of Melanian News bridging the gap to the merging cultures in Northeast Pennsylvania. It is our hope to continue it each year as an integral part of the unique heritage celebrations throughout our area. The festival is free to the public and all proceeds cover event expenses, planning, and community initiatives that improve the quality of life in NEPA. 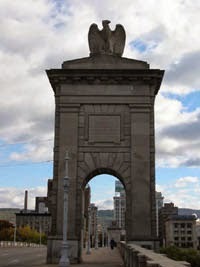 Scranton is the First city in Northeast Pennyslvania to have an all inclusive cultural celebration that is beginning to take this nation by storm. Let’s not just be the first, Let’s be the best! Come on board for an inspiring day of fellowship under ONE sky….Leave NO one out…Come Celebrate ONE True community with us at Nay Aug Park, Saturday July 9, 2011. Visit their blog and read all about it! Via a mention on Andy Palumbo's blog a little while back, here's the blog of Kevin Jordan, former radio and television reporter and former Director of Voter Services for Luzerne County. I grew up hearing Kevin Jordan on the radio and then seeing him on TV, first as a reporter and then in his position of public service. It's impossible for me to read his posts without hearing them in Kevin Jordan's uniquely rich and mellow voice! I really have to apologize for overlooking this blog for so long. Not only have I stumbled across it in the past during brute-force searches, I have also seen several visitors to NEPA Blogs who were directed to us from the Albright Memorial Library Reference Department blog, which has linked to us for who-knows-how-long. For the latest news and information from the Albright Memorial Library, as well as tons of useful links and notices about upcoming events, be sure to check this blog out!